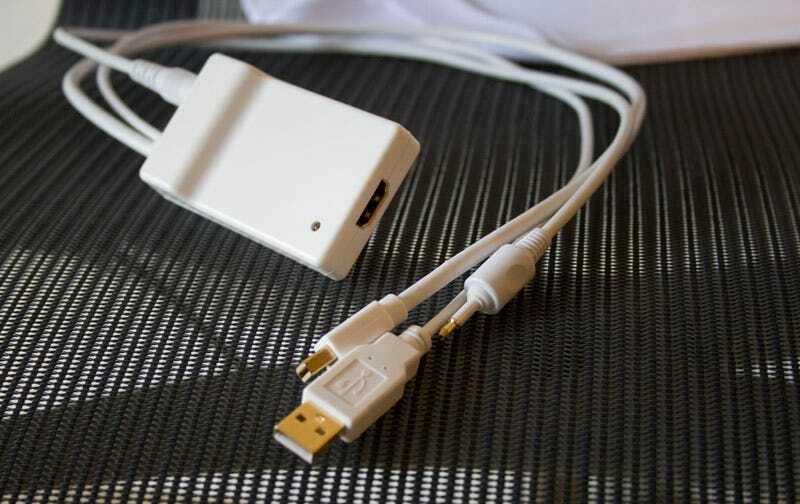 It's the digital audio version of the Kanex Mini DisplayPort Adapter we reviewed before, which takes your digital audio and Mini DisplayPort video and mixes it into one HDMI signal for your TV. It works, but damn if it isn't expensive. If you're not really married to the higher quality digital audio, you might be better off getting the USB audio version for $50 $60, which performs basically the same service for $20 $10 less. As for this unit, it definitely works—we've been using it on a Mac Mini hooked up to a 1080p TV for a week—and there are no dropouts or weird signal noise inconsistencies that we can see. Everything is plug and play, and you should have no problem using it on your 5.1 audio system.